Japanese dies and molds “KANAGATA” are vital to the growth of industry of Japan. Japanese dies and molds are used in a dizzying range of fields. The Japan Die & Mold Industry Association, “JaDMA”, consists of some 400 die and mold producers, in fields as variable as stamping, plastics, die-casting, casting, rubber, glass and more. JaDMA member companies are spreading their technologies throughout the world. Japan Quality, this is our subject to be No.1 at the total balance of quality, delivery, and price of the product. Each of these three elements is indispensable. We are the Japanese die & mold manufacturers that bring the benefits to customers with the combination of these three elements. And JaDMA is the association of companies proud of all three of these elements. At this JaDMA website, you can request estimates and submit inquiries. Our powerful support network delivers Japan Quality products to customers all over the world. Our member companies not only export from Japan but also establish operating bases and maintenance networks worldwide. Their presence is indispensable for manufacturers around the world. Die & mold are the “mother tools” that are the wellspring of manufacturers’ earnings. This is why Japanese die & mold manufacturers place so much emphasis not only on the finished quality of their die and mold but also the quality of their after-sales care. To be more passionate about production for users than in-house production, faithful, and reliable die & mold fabrication supported by many talented, passionate engineers, whose skills are backed by many years of experience. That’s Japan Quality. 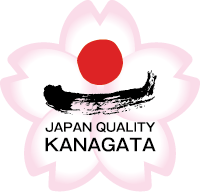 Make Japanese dies and molds “KANAGATA” your first choice. Copyright © 2002-2019 Japan Die&Mold Industry Association. All Rights Reserved.